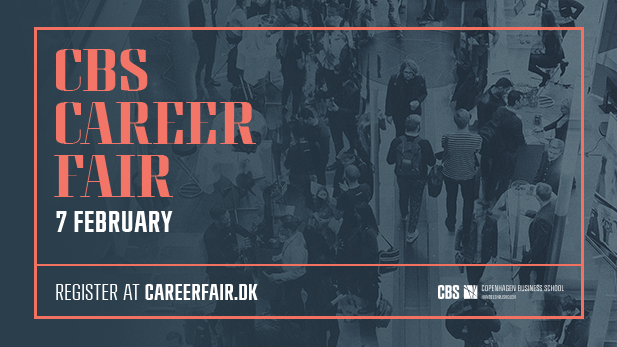 True to tradition, CBS Career Fair is back at Solbjerg Plads next week! Meet 38 companies and be inspired for your future career. The official event website is www.careerfair.dk and this is where you can sign up for the event. Career fair is not only for your career after you have graduated. Many of the companies also offer student positions, internships, thesis collaboration and full-time positions. Take a look at the company catalogue for elaborated information on the companies and their vacant positions. 11 companies will do company presentations to tell more about who they are, their culture and what they have to offer. You need to be registered for the Career Fair in order to attend the presentations. Register and find the full presentation schedule here. We look forward to seeing you for an inspirational day!